I received the following ideas from a very insightful friend…. 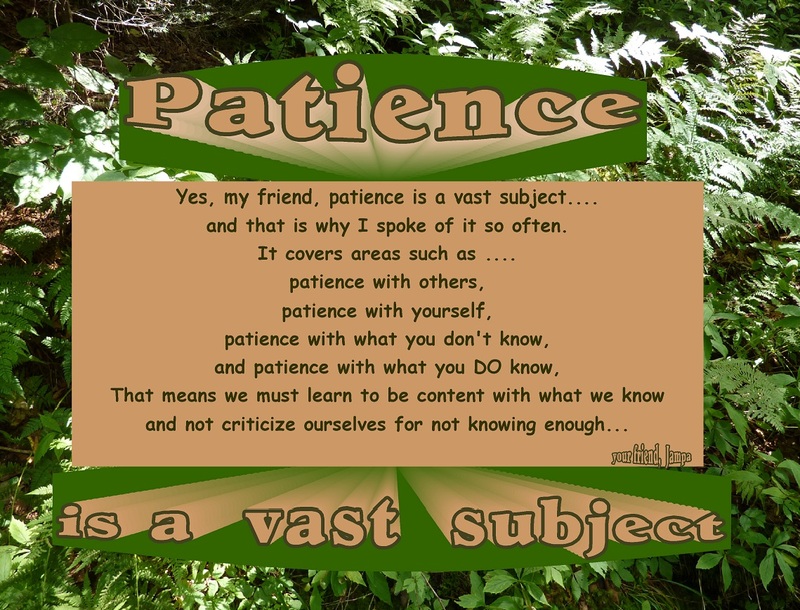 I find that having and developing patience is a challenging endeavor…. I think it’s really hard. but I still find it difficult. 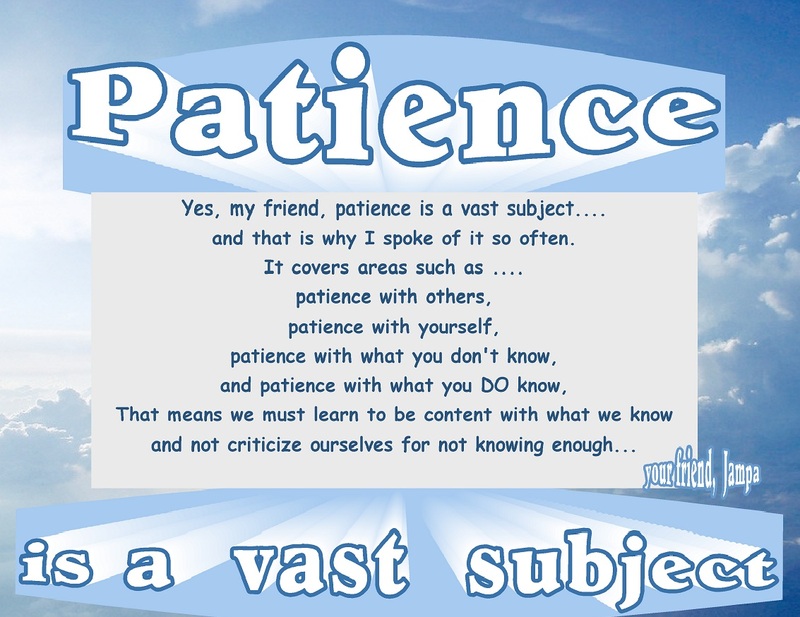 Ironically, I teach kids with learning and attention challenges, and have tons of patience with them, even the more difficult ones…but in my life outside of school… especially having patience with myself…that’s so much more difficult. 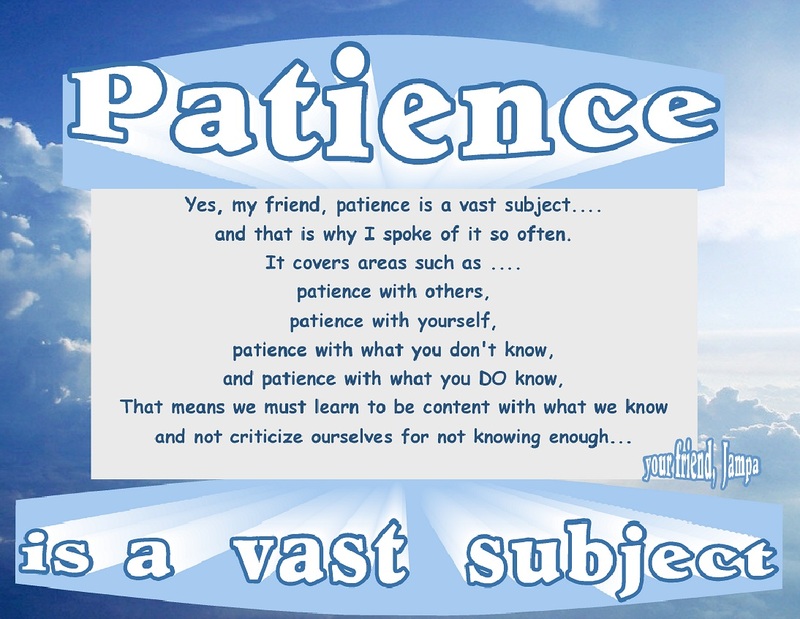 Patience is also one of the “Six Perfections”….the Six Perfections being special qualities to develop in one’s life: Generosity, Ethics, Patience, Effort, Concentration and Wisdom. 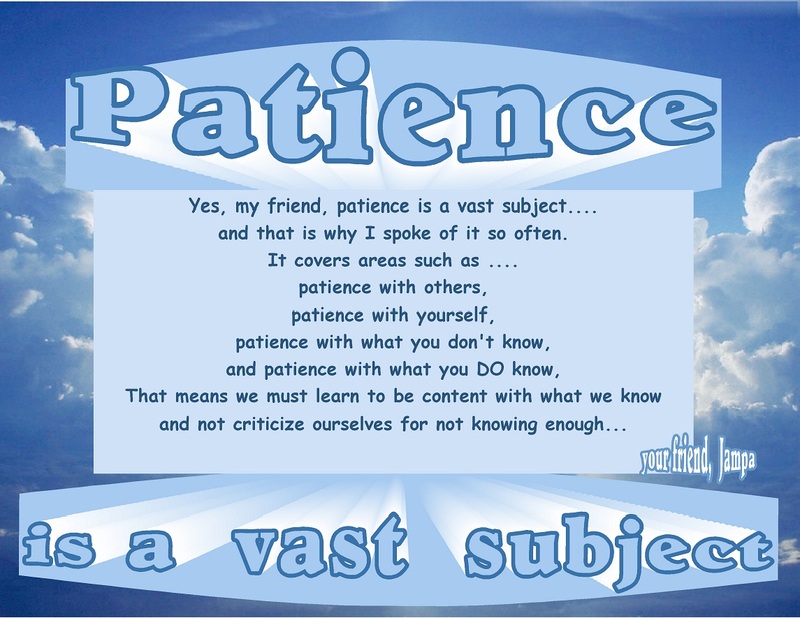 This entry was posted in Acceptance, Awareness, Patience, Persistence and tagged Acceptance, Awareness, Patience. Bookmark the permalink.